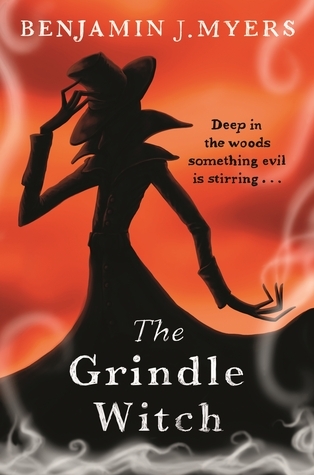 Beware the Grindle Witch, an ancient evil come back to life in this creepy supernatural tale. Let’s begin with the striking cover by Jodee Taylah and Sinem Erkas. It gives you the exact flavour of this book: dark, creepy but with some humour and warmth. The strap line confirms it’s not going to be for the squeamish, and there’s a suggestion of nature playing a part. All this is spot on. The setting is both timeless and contemporary with a sometimes unnerving sense of a hostile natural world. To offset this, there’s both strong friendship and some amusing over-the-top characters. Most readers will enjoy the to-and-fro between the three teens – and the gentle romance that blossoms. There’s an entertaining difference between what Jack thinks, and what he says and does. He’s a likeable character – and so when the darkness comes, we feel for him. The adventure is fast-paced and has some rather gruesome moments – be warned. Ideal for those who love Spooks books by Joseph Delaney, or the Lockwood & Co stories by Jonathan Stroud.